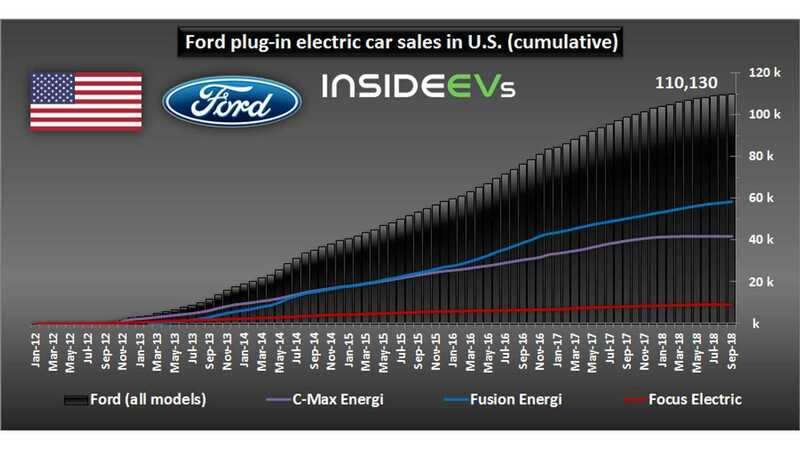 Graphing The Downturn Of Ford Plug-In Electric Car Sales: 2010-2018 product 2018-10-16 14:37:05 https://insideevs.com/news/340316/graphing-the-downturn-of-ford-plug-in-electric-car-sales-2010-2018/ Ford Fusion Energi Ford Focus Electric Ford C-Max Energi Sales, u.s. sales, u.s.
Ford once was selling more than 3,000 plug-ins a month. Something worrying is happening at Ford, as the company several years ago had three plug-in models on sale in the U.S. and now is selling just the Fusion Energi. The C-Max Energi and Focus Electric barely note any sales (inventory still left over, though production has ceased). 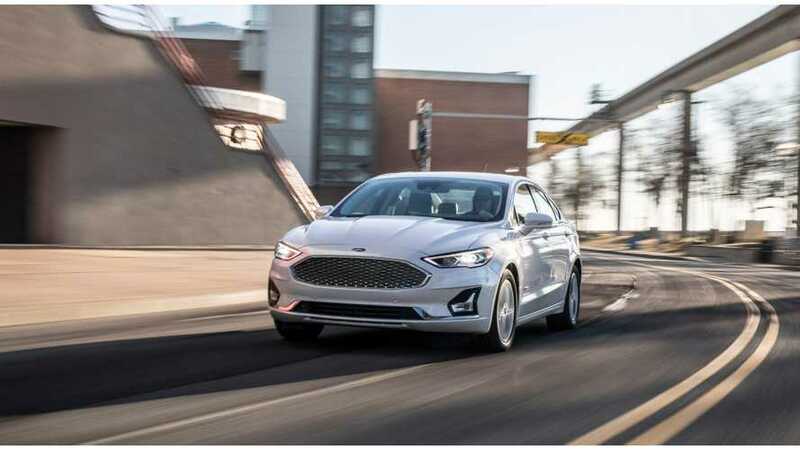 In effect, Ford sustained sales below 500 a month for the second consecutive month, with Fusion Energi trim choices narrowed down and still no announcement of new plug-in models. If Ford does not unveil a new production plug-in model in Los Angeles, there is still hope that we'll see one at CES or NAIAS in January. We would happily welcome a long-range CUV or the plug-in hybrid F-150. 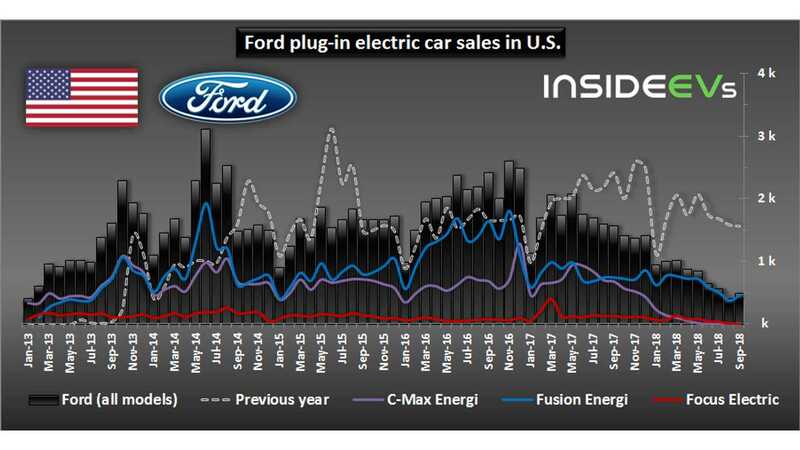 Ford plug-in electric car sales in U.S.